The Paige with Card is a classic profusion of stems that is sure to impress the lucky woman in your life. 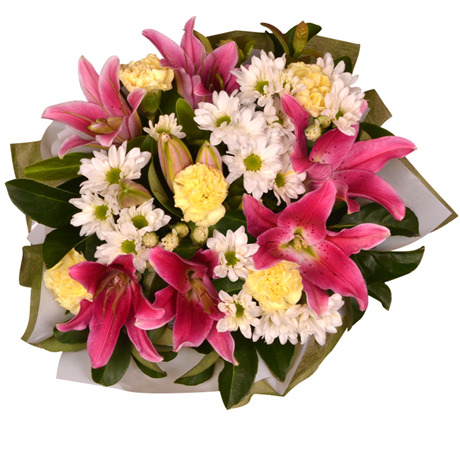 This self-containable boxed arrangement features fluffy white chrysanthemums, silky yellow carnations and vibrant pink Oriental lilies which will fill the room with a subtle spring time fragrance. With the low maintenance and practicality of a gift box, these blooms do not need to be rearranged in a vase.